I became convinced early on that King was deeply involved with the Contras. I am reminded of the phone call State Senator Loran Schmit received on the Senate floor as the Franklin case was just beginning to break. The caller warned him off the case, because "it would lead to the highest levels of the Republican party." I am reminded of when Larry King was finally arrested-just as he was about to go to a breakfast party in Omaha for his buddy, George Bush! I am reminded of the reports I used to hear that certain people in Omaha were charging that the Omaha Police Chief was protecting the expansion of the Cryps and Bloods into Omaha-far from their home turf of Los Angeles. 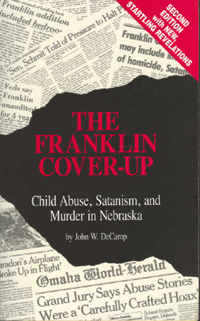 Larry King, FBI agent Gerry Wahl/ Alan Baer, Harold Andersen, and a former Omaha Police Chief have all been reported as collaborators with this Satanic military-based ring. King reportedly told Paul's captors at Offutt, "He's young-but you trained him good." A member of Nebraska's Concerned Parents group reported hearing from two North Omaha witnesses that "King used to send limousines down to Offutt Air Base to pick up CIA agents for parties." 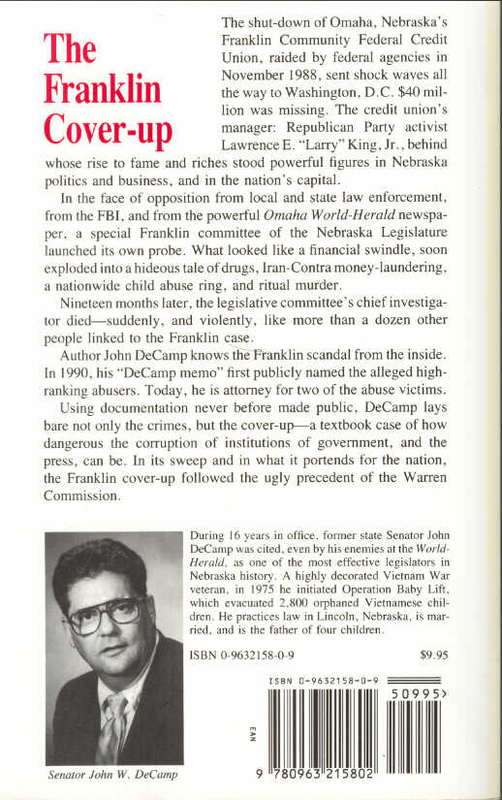 Larry King reported his own adoring relationship to the late CIA Director William Casey in a Sept. 7, 1988, interview in the Omaha publication Metropolitan.